ShopRite: 2 FREE Summer’s Eve Simply Cleansing Cloths Thru 10/13! 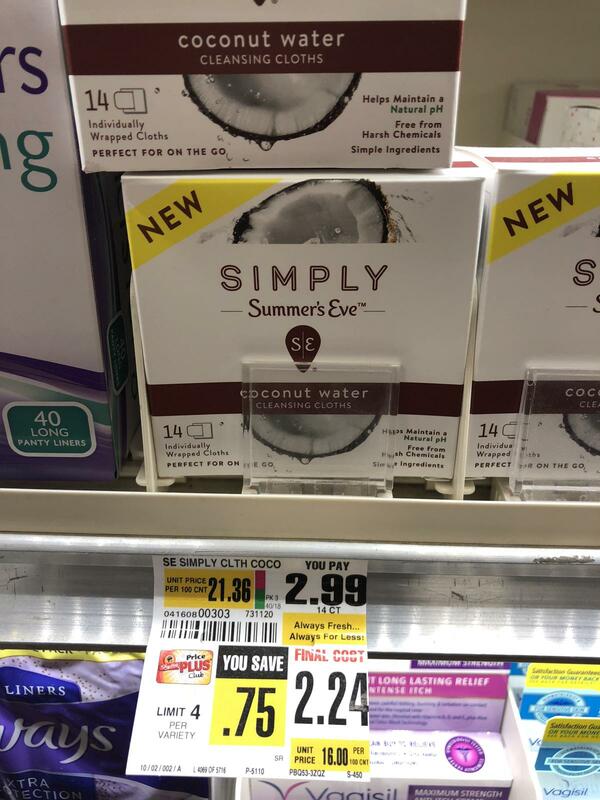 This week thru 10/13, ShopRite has Summer’s Eve Simply Cloths priced at only $2.24 each. In addition to this, we have a Summer’s Eve Simply product coupon insert to use on this deal. Stack it with an Ibotta rebate that will make your final price FREE! Note: The Summer’e Eve rebate may not be available to all users.